Terrible photo, but forgot to take a better quality. I’ve started running (3 times a week) in aim to be able to run 10k by the end of the year. Since starting this, I’ve loved feeling stronger and fitter, so this week these arrived! 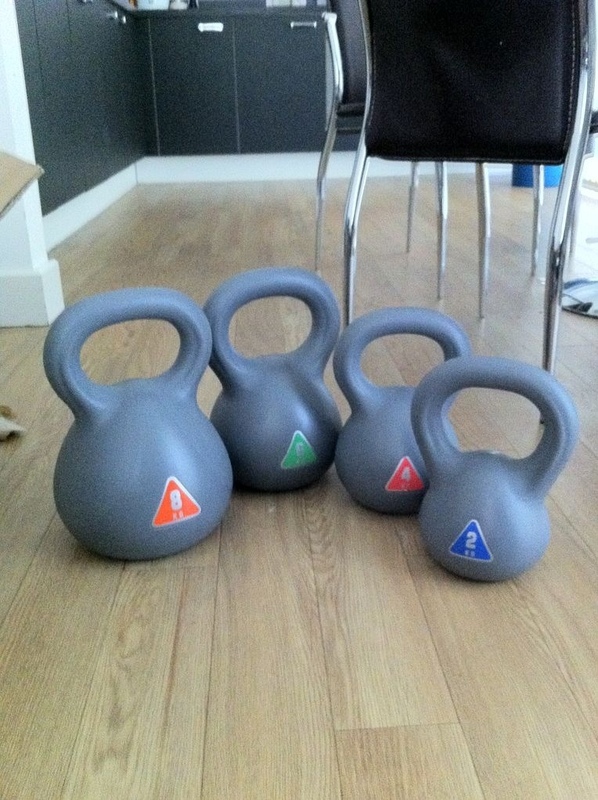 My new kettlebells – Claire also bought a set. It’s time to get fit!